This organic cheddar-style, hard cheese is named after the farm where we make the cheese. 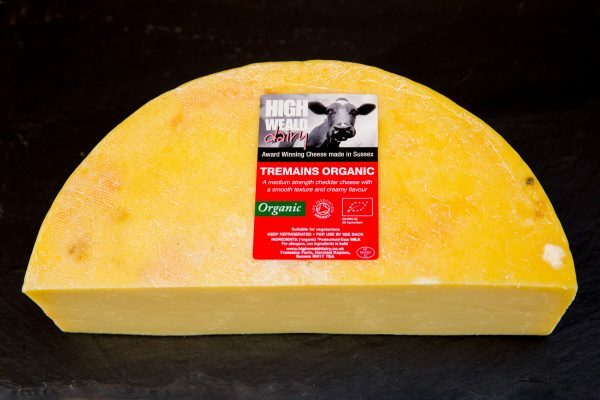 It is made as a 4kg wheels and matured for at least five to six months. The cheese has a smooth, creamy texture and a delicious bite, with a medium to strong flavour. Typical values per 100g: Energy - 1838 Kj/444 Kcal; Fat - 33g, of which saturates - 26.2g; Carbohydrates - 1.6g, of which sugars - 0.2g; Protein - 25.2g; Salt - 1.6g. 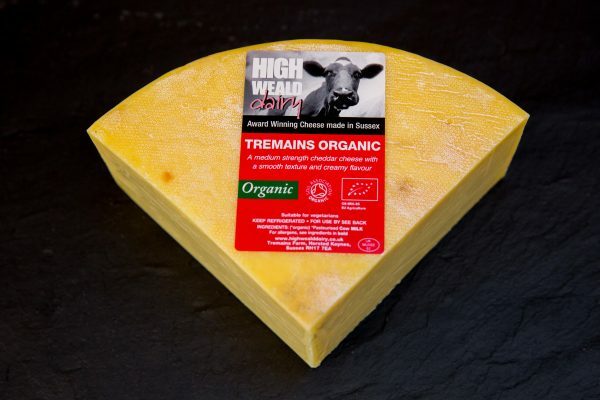 Our Oak Smoked Ashdown Forester’s is a young, firm un-pressed cheese with a creamy, slightly squidgy texture, which has been naturally smoked over oak shavings. It has an attractive shape and basket weave texture on the natural rind. 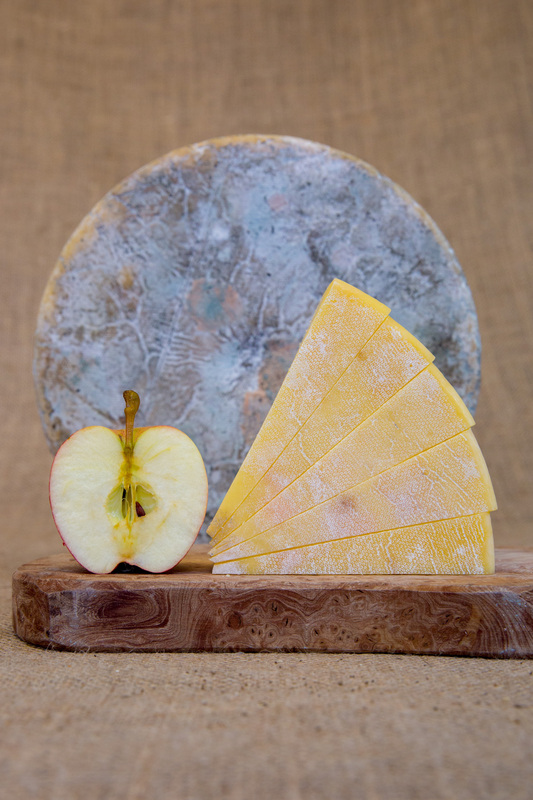 Matured for around three months, Foresters is also available plain (unsmoked). Both are organic cheeses. A delicious cheese, made from Saint Giles with the addition of garlic and parsley. A very buttery texture compliments the garlic and herbs. Try it melted onto a jacket potato, or a steak, just like a garlic butter. Our mixed milk Ricotta (meaning re-cooked cheese) is made using a mixture of organic cow and organic sheep milk. It is a fresh, low-fat, soft cheese. 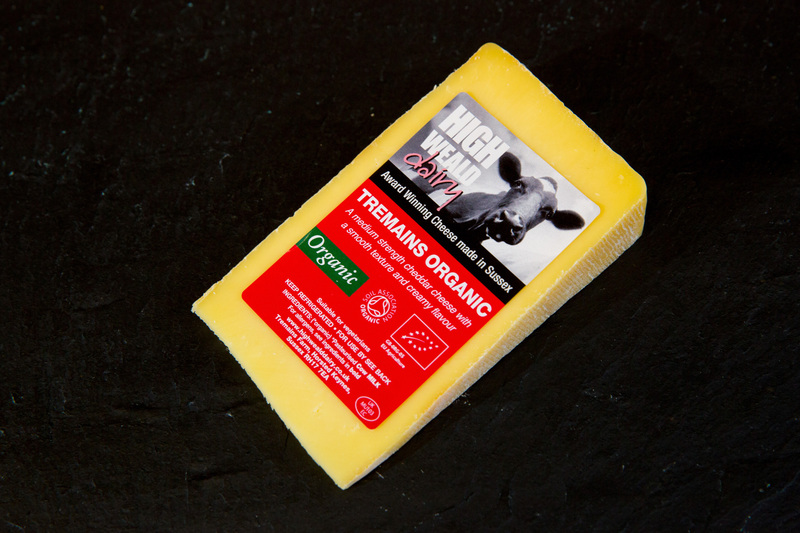 We make it by heating the organic whey left over from making a hard cheese to 90°C, resulting in the soft cheese then floating to the surface. Our Ricotta has a slightly granular texture and a mild flavour. It works well in both sweet and savoury dishes, from cheesecakes to baked pasta dishes. A pure sheep milk ricotta is also available. The organic version of our Brighton Blue cheese which is a mild, semi-soft cheese with a mellow blue flavour and a slightly salty finish. The blue green veins deepen as the cheese matures, and the taste of the blue strengthens. It has an attractive natural edible rind. 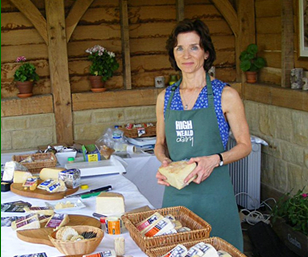 Brighton Blue has won numerous awards including a prestigious Super Gold at the World Cheese Awards 2017-2018.